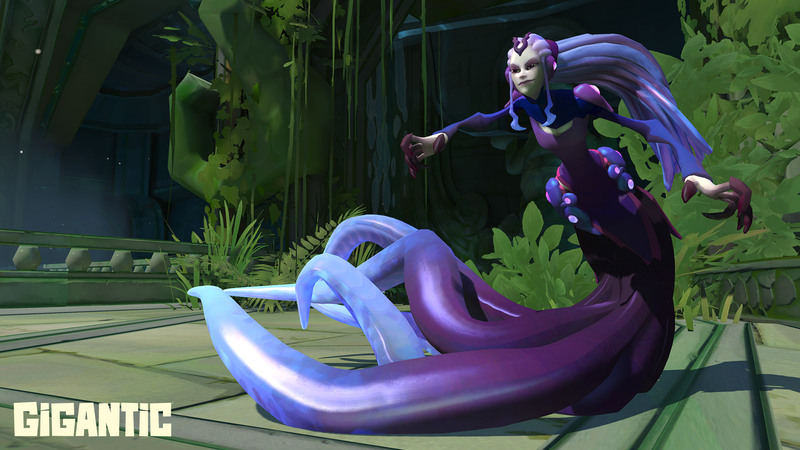 There are certain gaming genres that seem to breed toxicity - MOBAs and Shooters being some of the worst. 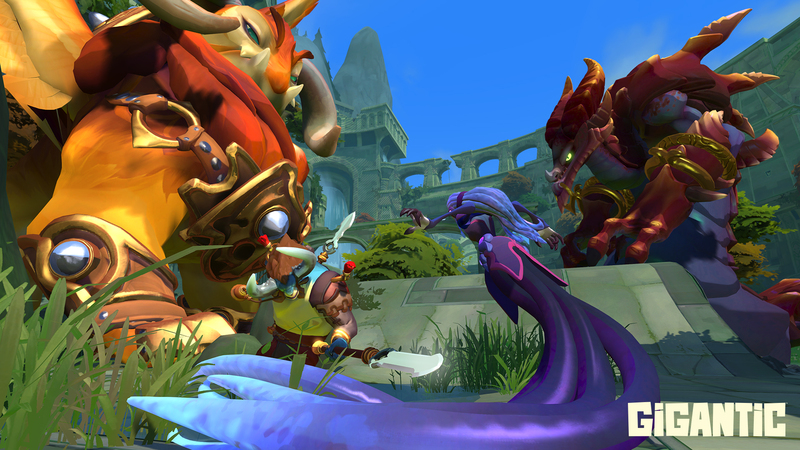 Gigantic, the increasingly popular f2p shooter MOBA from Motiga, plans to combat that. 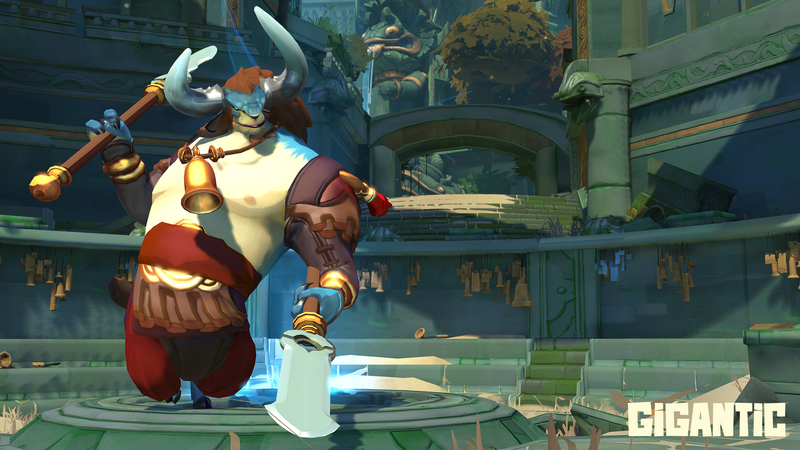 I sat down with Motiga CEO Chris Chung and Senior VP of Publishing David Reid at PAX Prime 2015 to discuss closed beta, community, and the future of Gigantic. 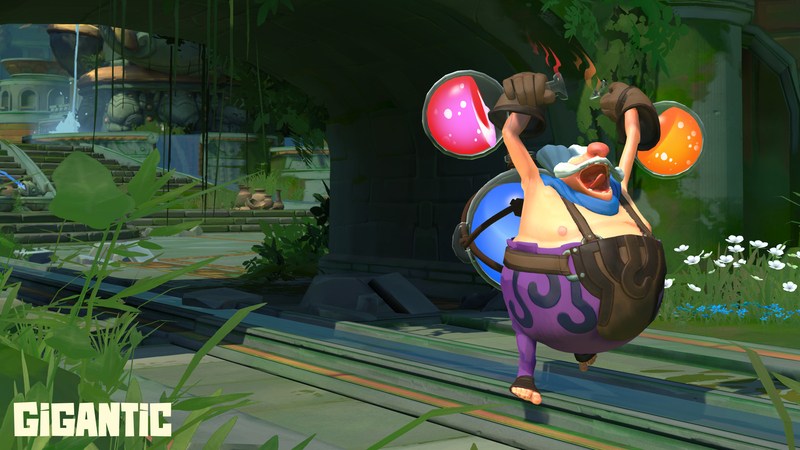 Gigantic is a free-to-play third-person shooter MOBA, where teams of five heroes battle alongside gigantic monsters in a quest for supremacy. 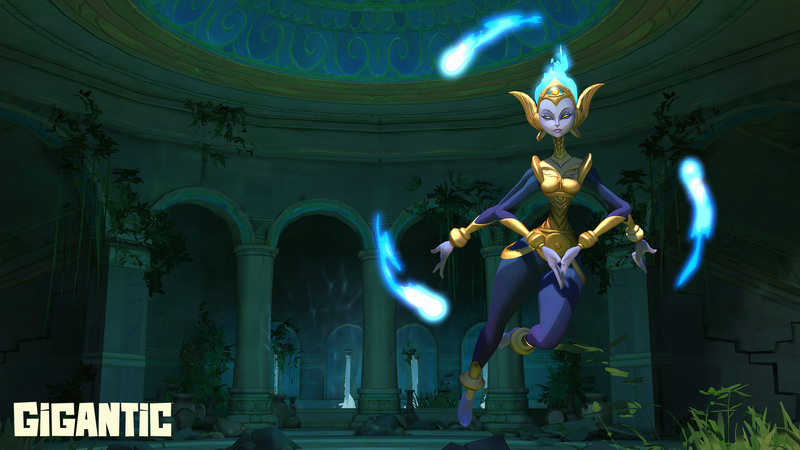 The heroes you can choose from are numerous and each has its own play style, blurring the line between genres. If you normally play fighters, there's a hero suited to your set of skills, and the same goes for shooters, RPGs, MOBAs and so on. 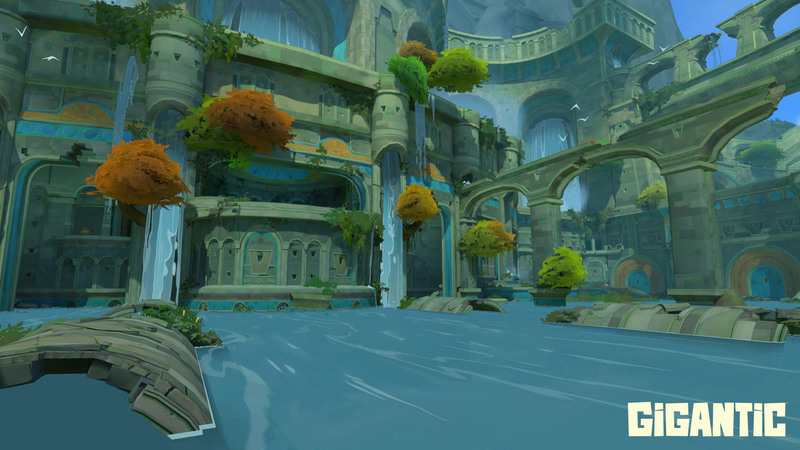 The aesthetic is vibrant and full of fantasy and Motiga has worked hard to ensure that while the game is relatively easy to learn, there's always some new strategy to master. 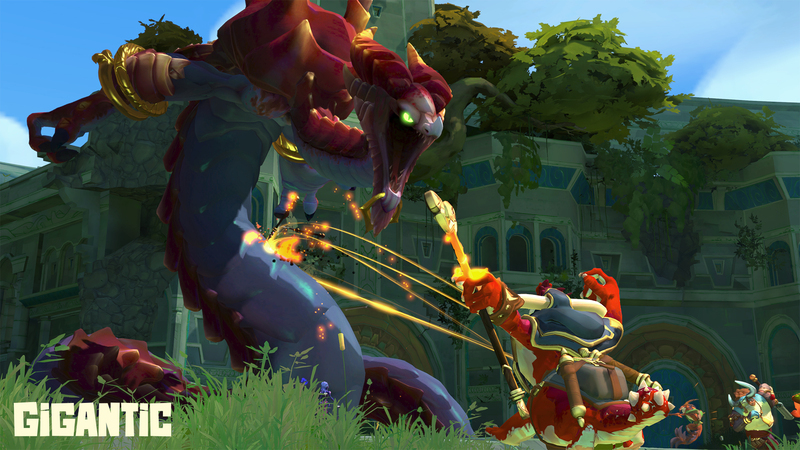 When Gigantic was in its embryonic stages, CEO Chris Chung explained that he never set out to make a shooter MOBA. 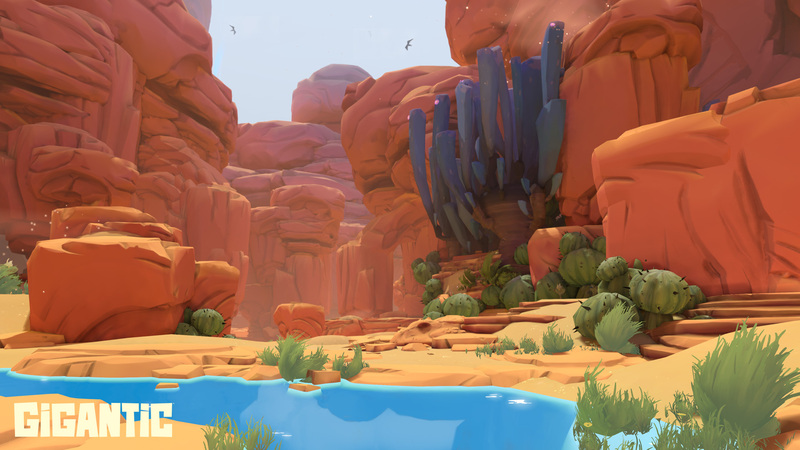 He wanted to make a more accessible online game where friends could raid together and engage in pvp. 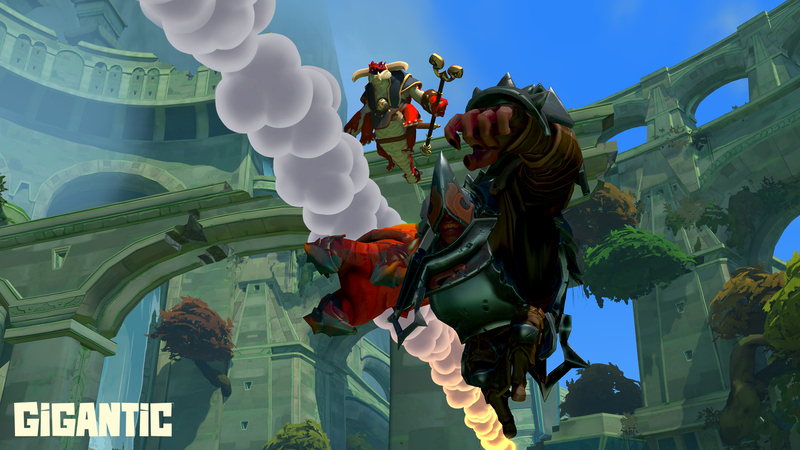 The large monsters in the game, called guardians, were originally intended to be neutral bosses that fought both sides equally, but he found that the boss monsters became a peripheral experience, taking a backseat to the pvp aspect of the game. 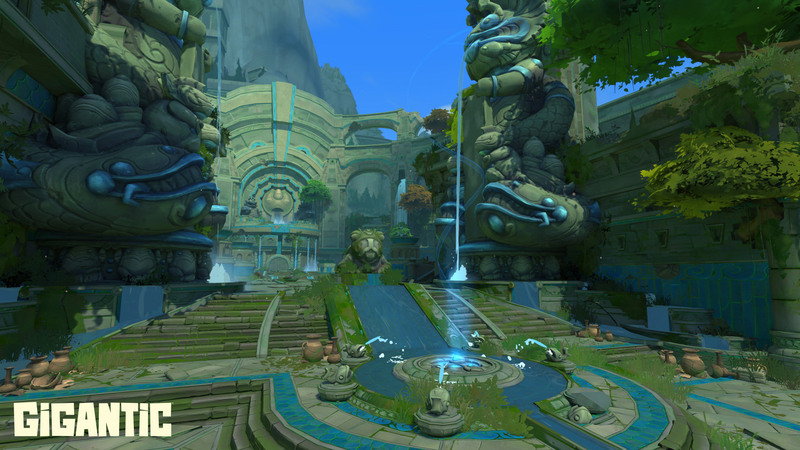 At this point, James Phinney came onboard, bringing his experience from StarCraft & Guild Wars, and it was suggested that there would be a guardian for each side. 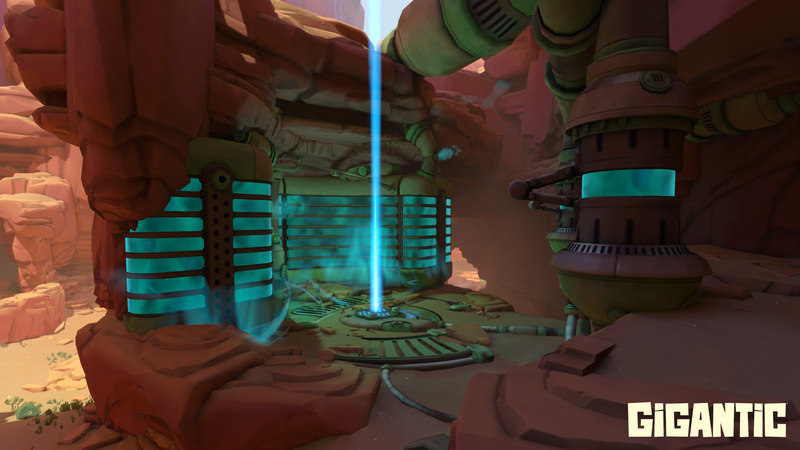 What began as an online dungeon raid is now a genre-bending award-winning indie title that just entered closed beta, and is set to launch this year on both Windows and Xbox One. 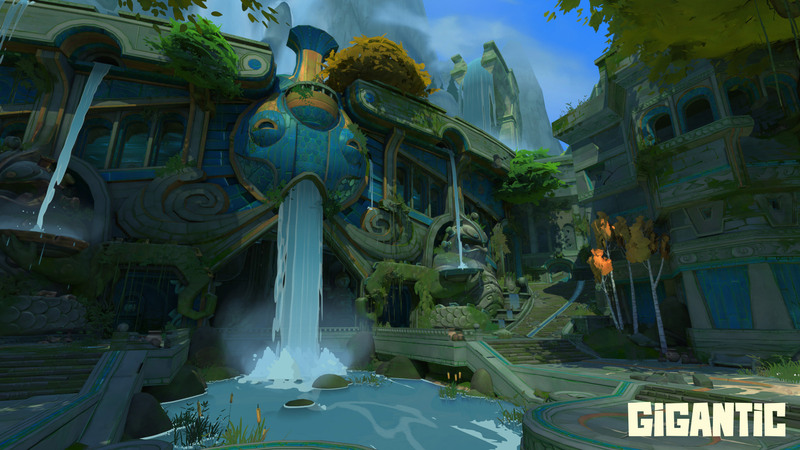 When I asked Senior VP of Publishing David Reid where he saw Gigantic five years from now, we got into a great discussion about community. Whether or not a game becomes a major esports title is dependent on the dedication and loyalty of the fans. 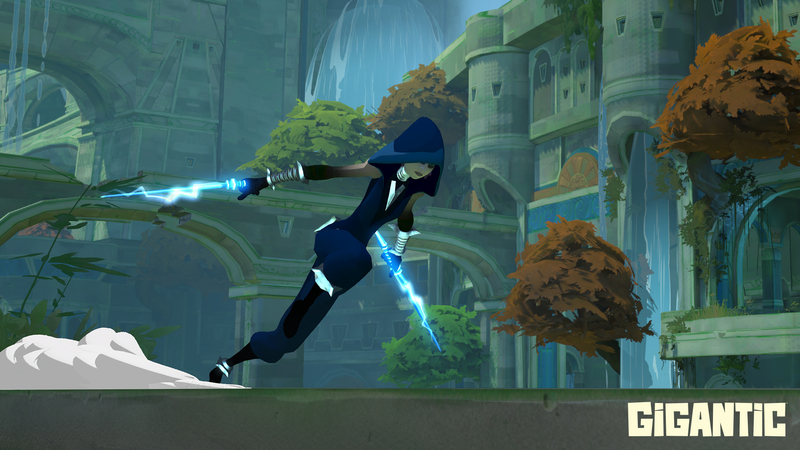 Motiga understands that while you want your players to excel at the game and compete with each other, this environment can sometimes turn very toxic, discouraging new players, and this goes directly against the experience Motiga set out to create. 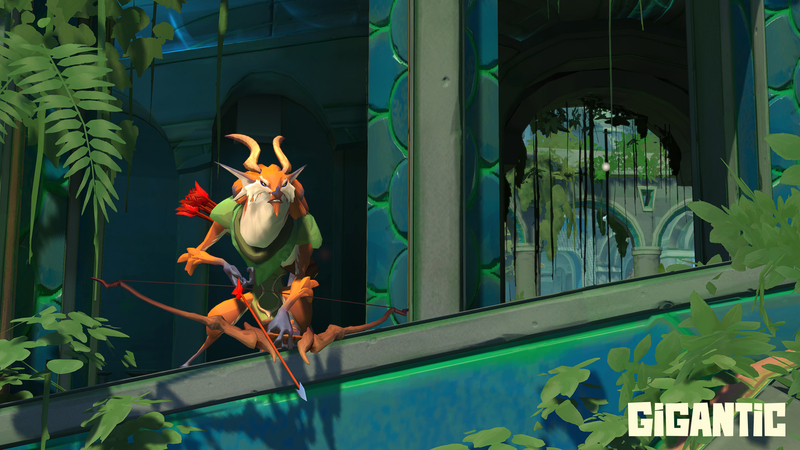 Because of this, Motiga has really focused on rewarding community members not only for being skilled players, but also for being good community members. 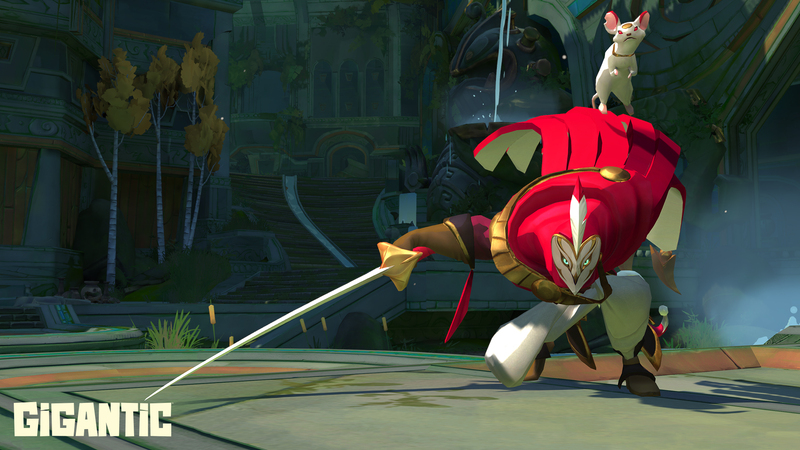 There are now about 150 players involved in what Motiga calls their Community Coach Program. 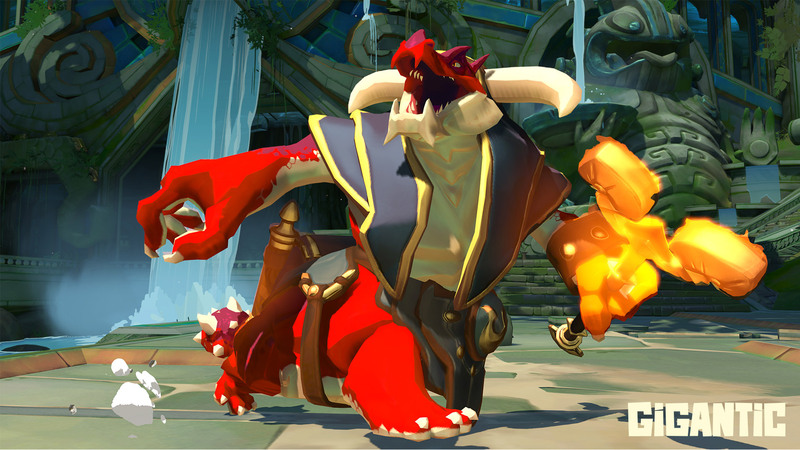 Some of these coaches were at PAX, giving over-the-shoulder advice to people trying Gigantic for the first time. 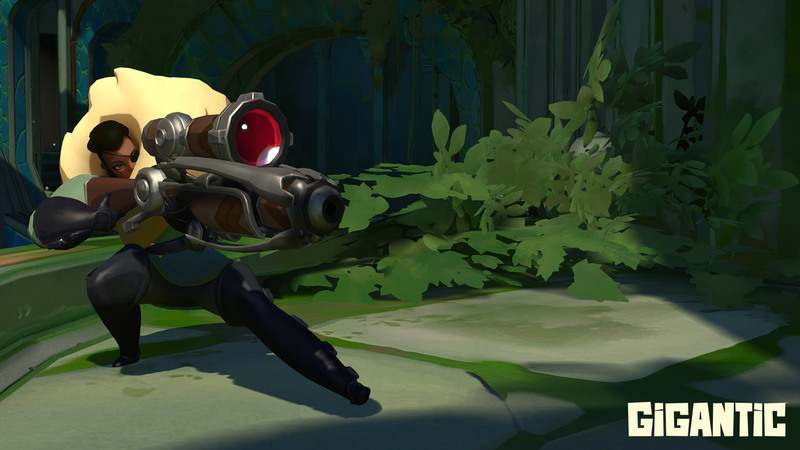 Motiga is constantly seeking new ways to reward players for more than game skill alone. 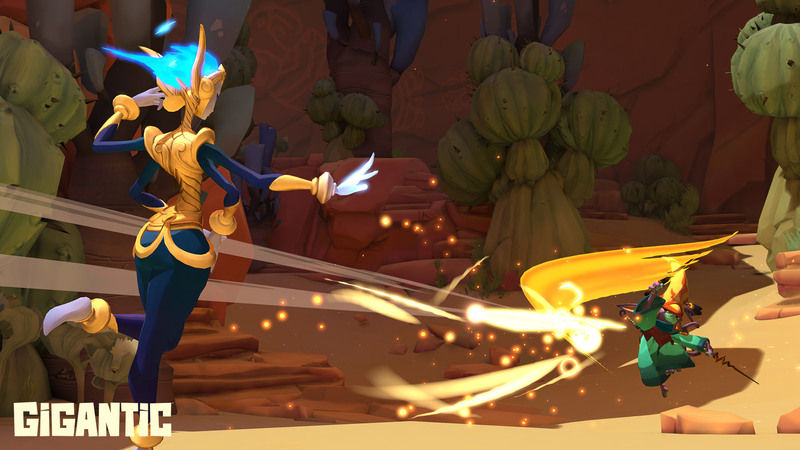 During this closed beta, Motiga plans to add more languages and servers so Gigantic can be played in more countries at launch. 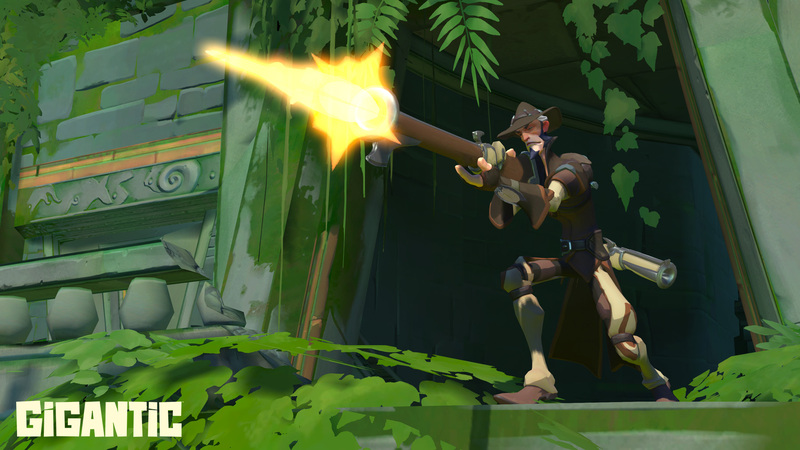 They are constantly updating UI, AI, and game balance. Because they have been working closely with Microsoft, they plan on offering a cross platform experience between Xbox One and Windows 10. If you want to join in on the closed beta, sign up here or tune into our upcoming Escapist livestreams where we will be giving away access codes.